"He’s really helped me quite a bit in my business. He’s driven our response rates up and our costs per lead down. He's been very good to work with..."
“He's helped us on web site design and Adwords to develop leads from our web sites. “include Internet and Google pay-per-click advertising ... and landing pages for lead generation. Jeff Bell. He's frugal with our marketing dollars and always delivers on time"
If you’re an entrepreneur like me and you’re looking for someone to help you grow your business, I’d really recommend talking to Jeff..."
after about 3 months they called me up and I went to see them...they give us a check for $8,000, they became a new client. 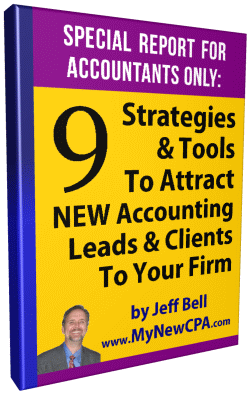 Here is your free report on the 9 Strategies & Tools to Attract NEW Accounting Leads & Clients to Your Firm (click here). Please also look in your email Inbox for a confirmation email from me with a download link for the same report that you can save for later. Since it will be a PDF I strongly suggest you print the report so your can read through it completely and make notes. If you are serious about growing your practice then learning about HOW to apply each Strategy and USE each Tool I cover should be your #1 priority in your firm. Building a MARKETING SYSTEM that uses all the Strategies & Tools is the classic “working ON” your practice, rather than IN it. If you have questions or need help, feel free to call me at 317-674-3335 or reply to one of my emails. 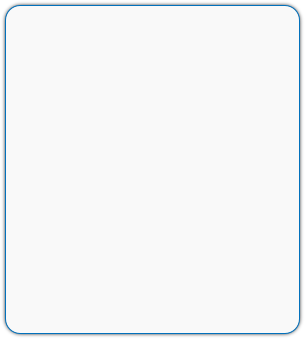 Thank You For Requesting My Free Report!